This award will be given to a junior faculty member (Assistant Professor/Instructor) or an Associate Professor (having held the position for no more than 3 years) who has been first author on an important peer-reviewed clinical education article published in a scientific journal. This award is targeted to junior faculty who are in the career development stage of their professional experience. The junior faculty member must have been first-author on an outstanding peer-reviewed clinical education journal article focused on the care of older adults. Selection of award winners will take into consideration the article's novelty, methodology, clarity of presentation, and potential to influence education relevant to the care of older adults. 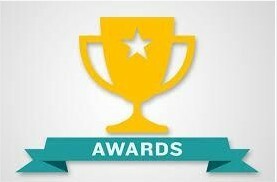 Papers that were published between September 1 and August 31 of the year preceding nomination are eligible for this award. Applications will be reviewed and the awardee selected by the Awards Committee of the AGS.